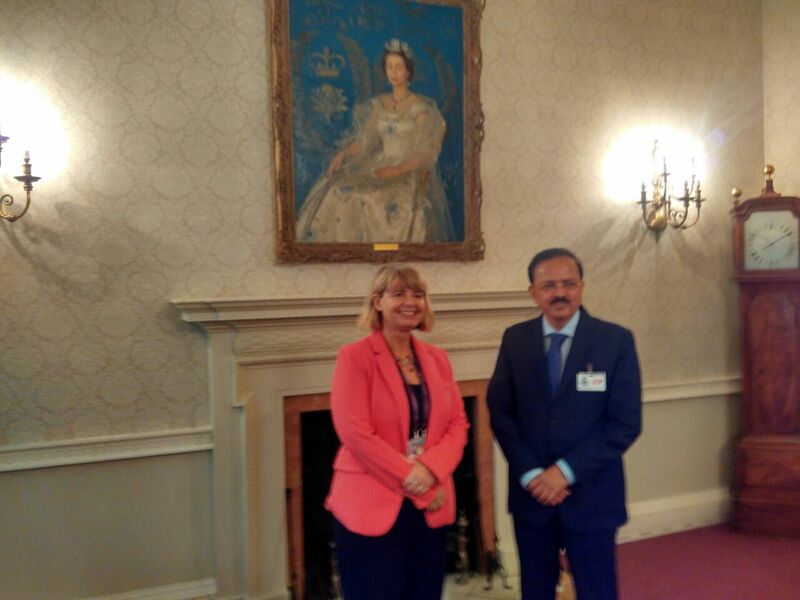 The Minister of State for Defence, Dr. Subhash Bhamre met the United Kingdom Minister of Defence Procurement, Harriett Baldwin in London today. A wide range of issues covering the entire spectrum of defence cooperation between India and the United Kingdom were discussed at the meeting, including Indo-United Kingdom collaboration in joint research, development and production which has tremendous potential for growth. Dr. Bhamre reiterated India’s resolve in enhancing its defence capability and improving its defence industrial base, aiming towards becoming self sufficient. He invited greater British participation in the ‘Make in India’ programme, a flagship initiative of the Prime Minister, Narendra Modi. Dr. Bhamre also drew attention to the challenges being faced by both countries due to increased terrorist activities globally, as well as cross border terrorism being faced by India. He emphasised that terrorism is a global phenomenon and a clear message must go to countries supporting terrorism. There could be no differentiation between good and bad terrorists, he said. The United Kingdom Minister acknowledged India’s stand on terrorism and expressed the UK’s resolve to cooperate in the field of counter terrorism. India has tremendous experience in UN Peacekeeping operations worldwide and the United Kingdom expressed its desire for learning from the Indian experience. Dr. Bhamre assured his United Kingdom counterpart for further strengthening of Indo-United Kingdom cooperation in United Nations Peacekeeping operations. Dr. Bhamre is in the United Kingdom to attend United Nations Peacekeeping Defence Ministerial Conference 2016 scheduled to begin on 8th September. During his visit, he also interacted with the Minister of State for Asia and the Pacific in the Foreign and Commonwealth Office, Alok Sharma and discussed a wide range of bilateral issues. This visit is further expected to strengthen ties between two countries after the recent meeting of the Prime Minister, Narendra Modi with the Prime Minister of the United Kingdom, Theresa May.